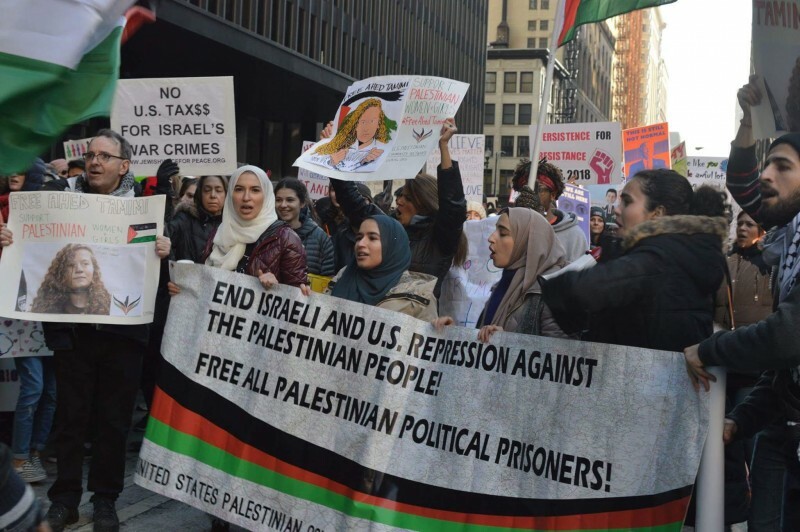 Palestinians demand ‘Free Ahed Tamimi’ at Chicago Women’s March | Fight Back! Chicago, IL - On Jan. 20, over 200,000 people marched through downtown Chicago on the anniversary of Trump’s inauguration as part of nationwide Women’s Marches. The Arab contingent at the Chicago Women’s March, led by young women from the U.S. Palestinian Community Network brought signs about Ahed Tamimi, a young Palestinian girl currently in Israeli occupation jails for daring to defend her land and rights.